How much do Cardinals suites cost? 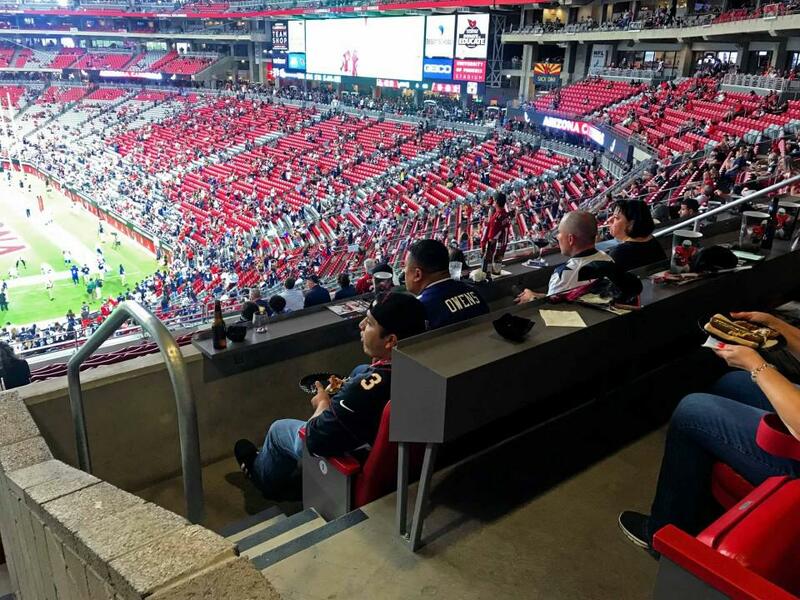 Suite rental prices for Arizona Cardinals home games will cost between $9,000-$18,000 depending on opponent, team performance, day of the week, and suite level. Suite prices for the Fiesta Bowl, held annually at State Farm Arena, will range between $10,000-$20,000 depending on match-up. Concert suite prices will vary widely; well-known performers can command suite prices well over $15,000. 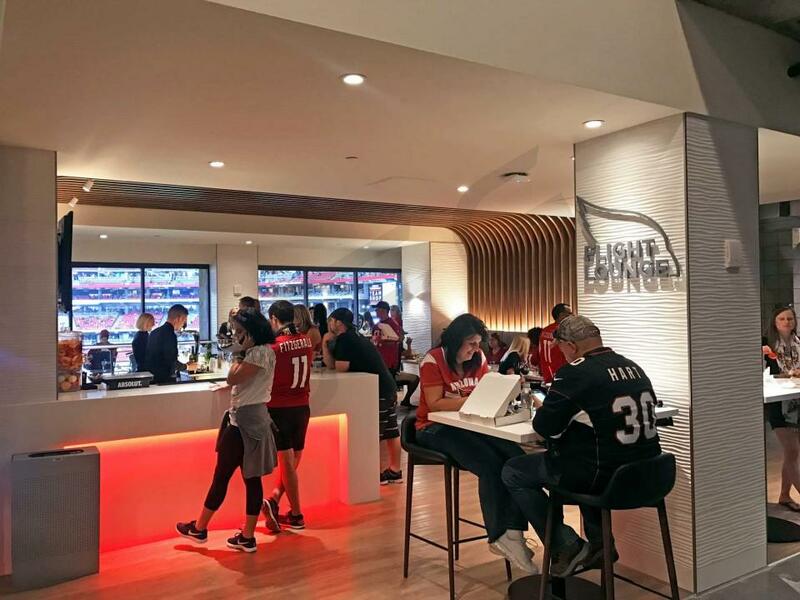 The Loft Suite Level at State Farm Stadium is located just above the Club Suite Level. 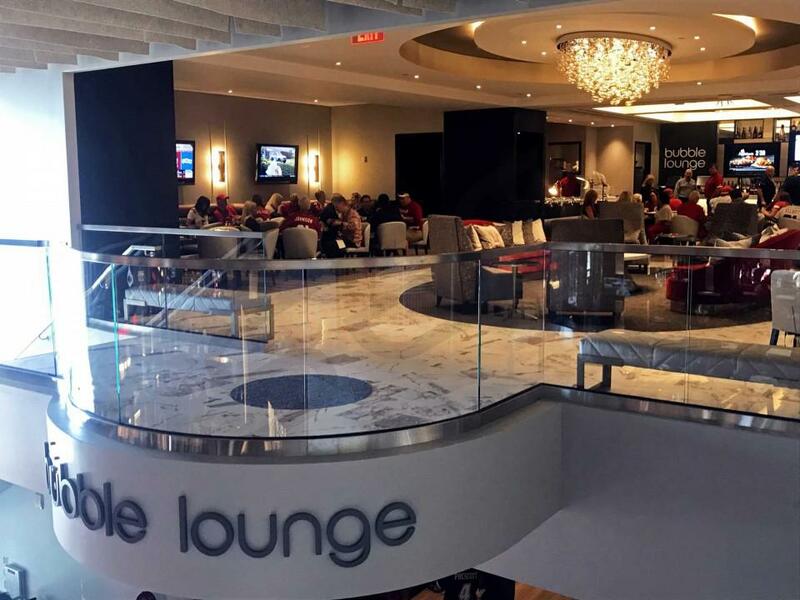 The Loft Suite Level is located on a separate, and private, suite concourse accessible to only Loft Suite ticketholders. The private nature of the Loft level gives a feeling of exclusivity not found on the Club Suite Level. Loft Suites typically include 16-20 suite tickets and most suites are configured with 12 stadium-style seats on a private open-air balcony overlooking the field. Additional bar-stools and lounge seats are located deeper in the suite. Cardinals boxes come with an allotment of VIP parking passes, premium in-suite catering options, a private restroom, and exclusive access to bars and restaurants on club level. 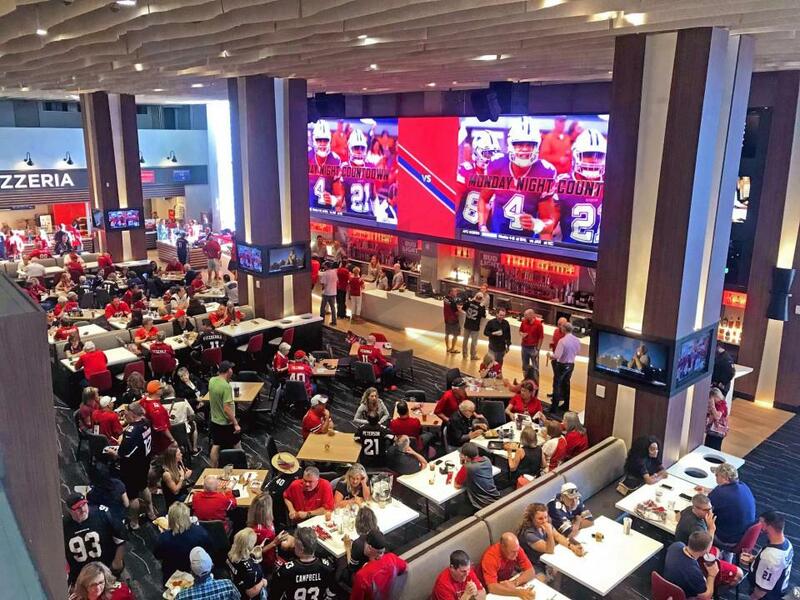 Club Suites at State Farm Stadium are located on the main club level concourse; the lower of two suite levels. Club Suites are all sideline-located. Club Suites typically hold 18-22 guests and most suites are configured with 12 fixed stadium-style seats on a private balcony. Additional barstool and lounge seats can be found deeper in the suite. Club Suites will come with VIP parking passes, premium catering options, a private restroom, and access to club level restaurants and bars. The 2018 Arizona Cardinals begin a new era under head coach Steve Wilks. Wilks takes over for former head coach Bruce Arians. Running back David Johnson will be back healthy after an injury kept him sidelined for most of last season. Johnson is as dynamic as they come in the backfield. With Carson Palmer retiring, the Arizona Cardinals wasted little time to replace their quarterback. In 2018, Sam Bradford will be under center and has the talent to lead this Cardinals offense back into the playoffs. To make sure Bradford stays healthy, the Cardinals also added to their offensive line by signing free agents Andre Smith and Justin Pugh. Still performing as one of the league’s most reliable receivers, Larry Fitzgerald will be the number one wideout. Defensively, the Cardinals were unable to retain Tyrann Mathieu but still feature one of the NFL’s best cornerbacks, Patrick Peterson. Budda Baker and Antoine Bethea will help form what could be a very good secondary in 2018. The Cardinals do have a strong group of linebackers featuring Chandler Jones, Karlos Dansby and Haason Reddick. 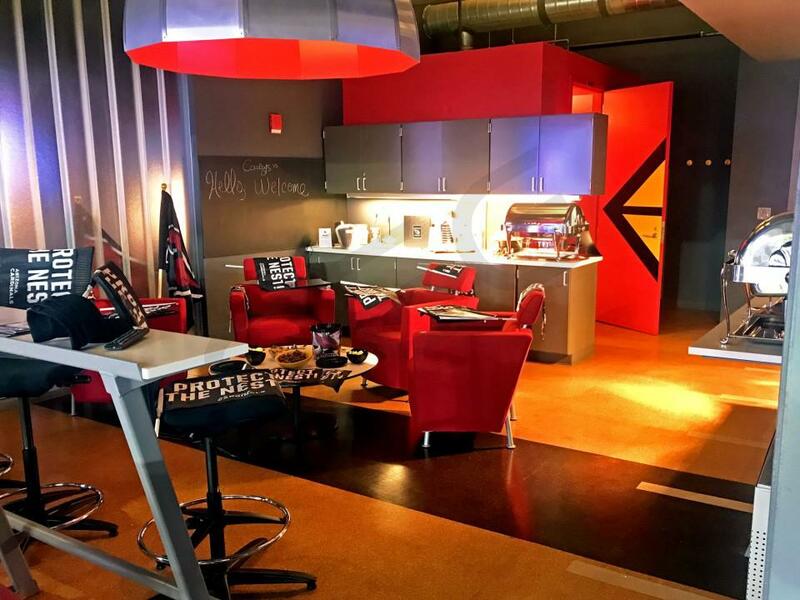 Through Suite Experience Group, your company group can rent a suite for single event or Cardinals game. An Arizona Cardinals suite is going to vary in price by the game and suite details, but they will include 16-18 tickets on average and 4 VIP parking passes. There are two suite levels at the University of Phoenix Stadium, Loft and Club Level. All suites will feature private restrooms, HDTVs, balcony seating and a dedicated Cardinals suite attendant. Food and drinks can be ordered for your luxury box in advance to your event at an additional cost. The 2017 Arizona Cardinals play at the University of Phoenix Stadium in Glendale, AZ. It’s not just the home to the Cardinals but also the Fiesta Bowl every year. The University of Phoenix Stadium is one of the country’s premier venues hosting events such as the Super Bowl, College Football Championship Game and NCAA Men’s Final Four. The Arizona Cardinals 2017 home opponents include the Dallas Cowboys on Monday Night Football, San Francisco 49ers, Tampa Bay Buccaneers, Seattle Seahawks on Thursday Night Football, Jacksonville Jaguars, Los Angeles Rams, Tennessee Titans and the New York Giants on Christmas Eve. The Arizona Cardinals are a mainstay at top of the NFC West. Their offense features Carson Palmer, Larry Fitzgerald and David Johnson. The Cardinals defense is one of the best in the NFC with stars like Patrick Peterson, Chandler Jones and Tyrann Mathieu. The Cardinals decided to focus on defense in the NFL Draft used their first two picks on defensive players. In the first-round, the Cardinals selected ILB Haason Reddick and in the second-round, the Cardinals selected S Budda Baker. Head coach Bruce Arians has proved he’s one of the NFL’s best coaches and will look to get his squad back into the playoffs this season. 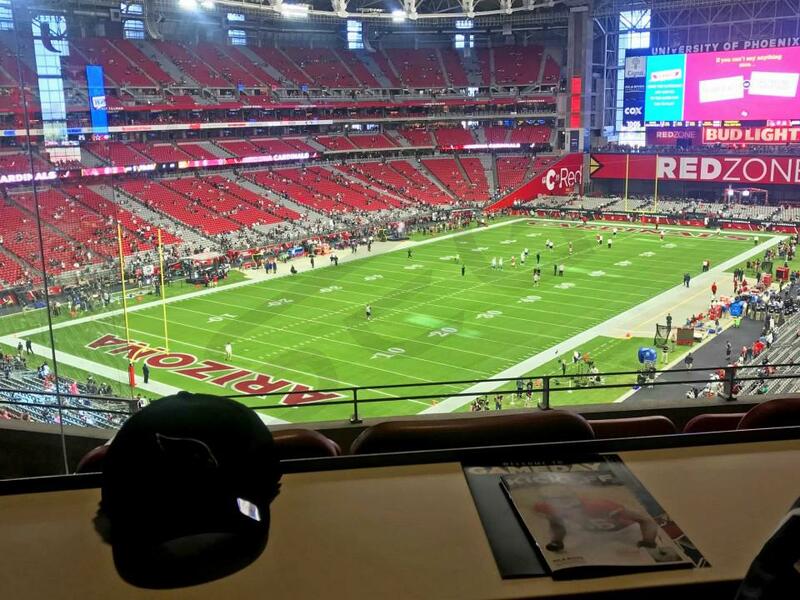 Suites: Renting an Arizona Cardinals will provide guests with a VIP experience like no other. Cardinals suites will include VIP parking passes, private entry into the University of Phoenix Stadium and exclusive access to the stadium's clubs and VIP lounges. 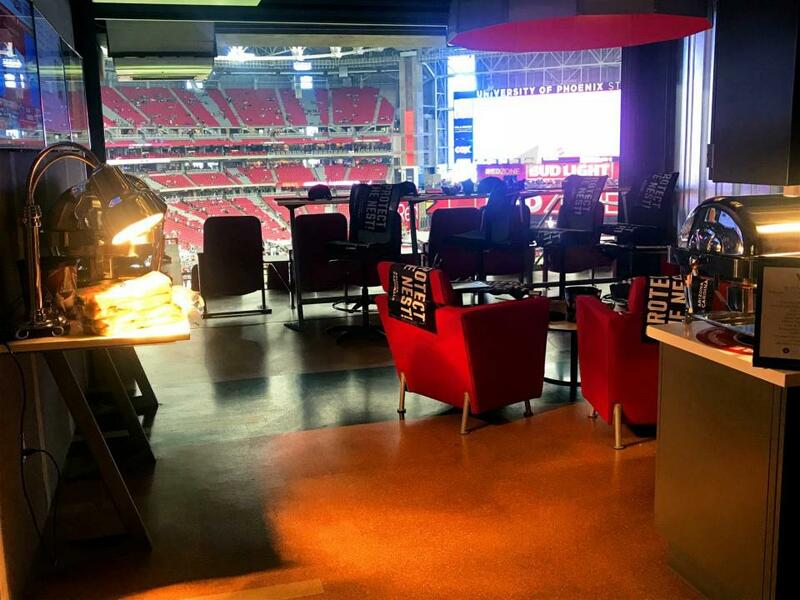 Private Lofts and Club Level Suites at the University of Phoenix Stadium feature a spacious floor plan with HDTVs, Wi-Fi, private restroom, premium in-suite catering options and a dedicated suite attendant. 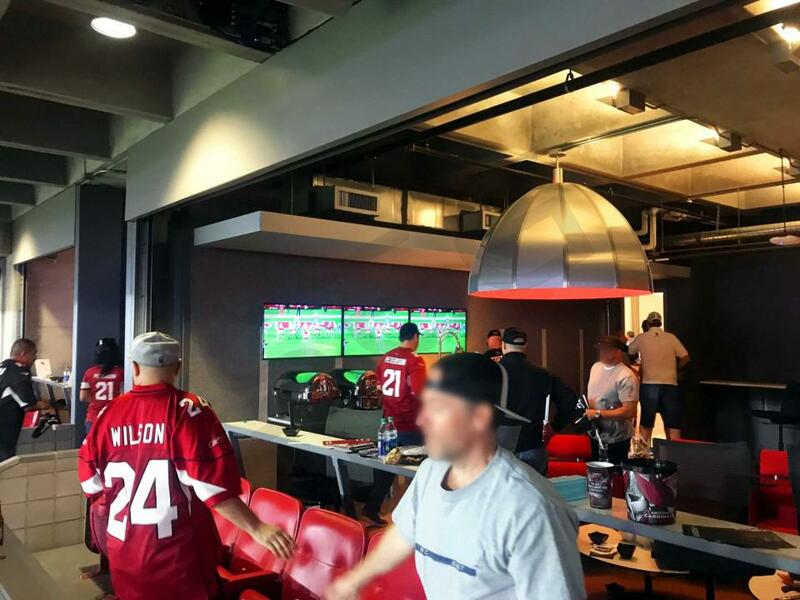 Both Arizona Cardinals suite levels, Loft or Club Level, will provide fans and guests with the perfect setting for entertaining. Offense: After winning the NFC West with a record of 13 wins and 3 losses the Arizona Cardinals are looking to be one of the best and most exciting teams in the NFL. In 2015, the Cardinals beat the Green Bay Packers in the Divisional Round of the playoffs but lost to the Carolina Panthers 49 to 15 in the Conference Championship. This year the Cardinals have much loftier aspirations. During the offseason the Cardinals really did not do much to tinker with an offense that led the league in total yards per game and was second in scoring at 30.3 points per game. All-Pro quarterback Carson Palmer threw for 4671 yards and 35 touchdowns while directing one of the most talented offensive groups in the NFL. The wide receiver trio of John Brown, Michael Floyd and Larry Fitzgerald is the envy of offensive coaches across the league and there is a chance all three receivers will surpass 1,000 yards in 2016. Larry Fitzgerald is a future Hall of Famer and the 13-year veteran will likely churn out another 100+ reception, 1,000+ yard and 8-10 touchdown year so get out to Phoenix to watch a star in the twilight of his career. The Cardinals have two talented backs in returnees Chris Johnson and David Johnson who both had solid years and are dynamic compliments to the high-flying passing game. One of the Cardinals big offseason signings was guard Evan Mathis formerly of the Super Bowl Champion Denver Broncos who will bring balance to the right side of a powerful offensive line. On the left side of the line Jered Veldheer and All-Pro Left Guard Mike Iupati plow huge holes for the Cardinal run game. Head Coach and cancer survivor Bruce Arians will undoubtedly pull every once of production out of this group. Defense: The biggest offseason addition for the Cardinals was definitely former New England Patriot's defensive end Chandler Jones. Jones has been one of the most dominant defensive lineman in the NFL over the past couple seasons and 2015 was no different. He finished with 12 sacks, 44 tackles and 4 forced fumbles which should make the Cardinals one of the most terrifying defenses to face. Jones and All-Pro defensive tackle Calais Campbell will make life hell for opposing quarterbacks. If anyone in the league can rival the Legion of Boom up in Seattle the Cardinals are the team. Led by All-Pros Tyrann Mathieu and Patrick Peterson, former LSU Tigers, the Cardinals were second in the league in takeaways 19 interceptions and 14 forced fumbles. Middle Linebacker Deon Bucannon is a ballhawk and led the team with 112 total tackles last season. Schedule: The Cardinals play their home games at the University of Phoenix Stadium. The University of Phoenix Stadium was home to Super Bowl XLIX. In 2016, the Cardinals will host the Los Angeles Rams, San Francisco 49ers, Seattle Seahawks, Oakland Raiders, Denver Broncos, New England Patriots, Tamba Bay Buccaneers, New York Jets, Washington Redskins and New Orleans Saints. Suites and Special Events: An Arizona Cardinals' private loft will include 18 tickets with an option to purchase up to 6 more tickets. 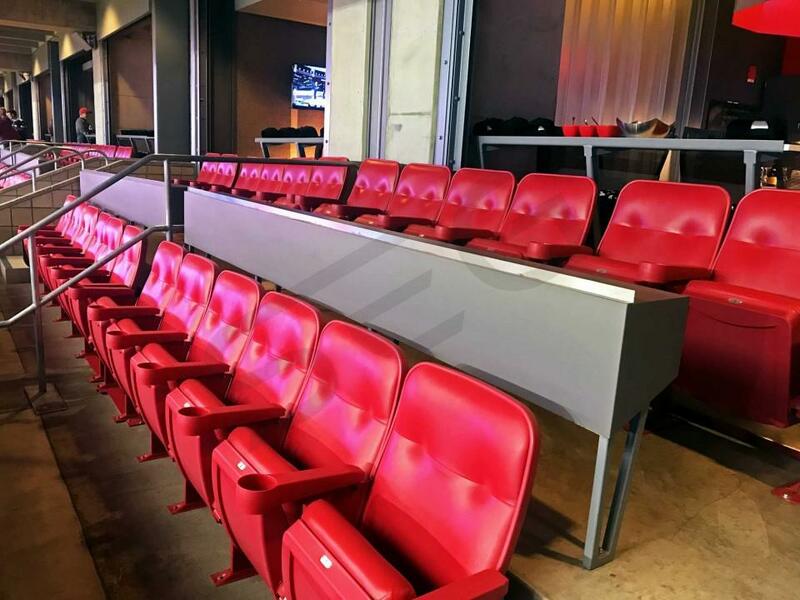 With the Cardinals' suite you will receive VIP parking, private entry into the University of Phoenix Stadium and exclusive access to the stadium's clubs and lounges. Private lofts at the University of Phoenix Stadium feature a spacious floor plan with HDTV, Wi-Fi, private restroom, premium in-suite catering options and a dedicated suite attendant. The University of Phoenix Stadium is also home to the Fiesta Bowl every year and many other special events throughout the year. The next Fiesta Bowl will be played on December 31, 2016. Other special events that University of Phoenix Stadium will host are the COPA America Soccer 3rd Place Game, Guns N Roses Concert Tour, Arizona vs. BYU College Football Game and the March Madness 2017 Final Four. Thank you for signing up for specials at State Farm Stadium. Enter your email address below to stay in touch. We'll sign you up for our newsletter, which will inform you of the latest inventory and events at State Farm Stadium. We promise we will never sell or distribute your information. 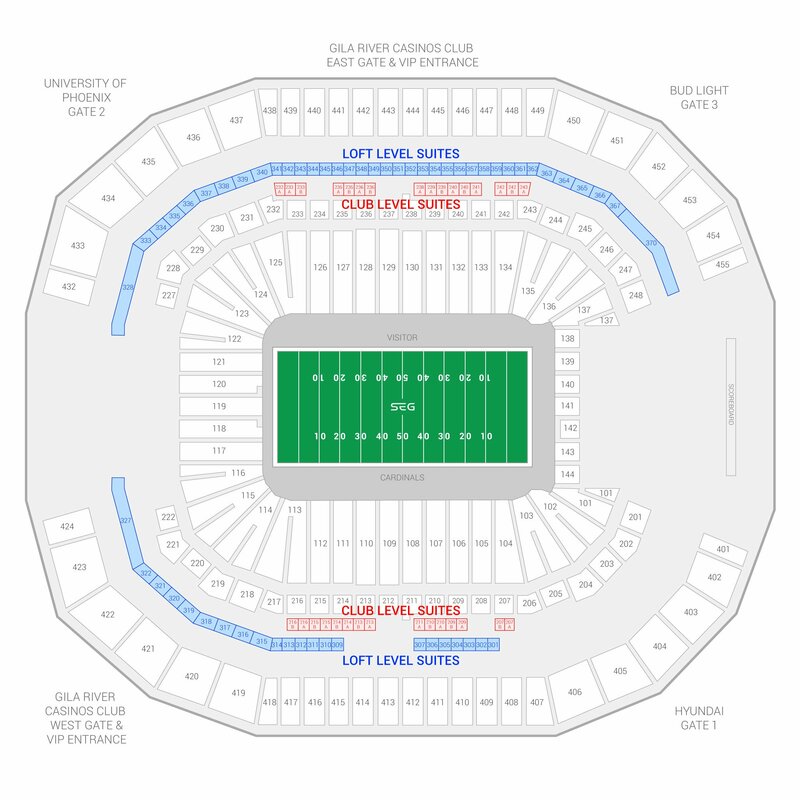 The seating chart below shows where the Arizona Cardinals suites at State Farm Stadium are located.